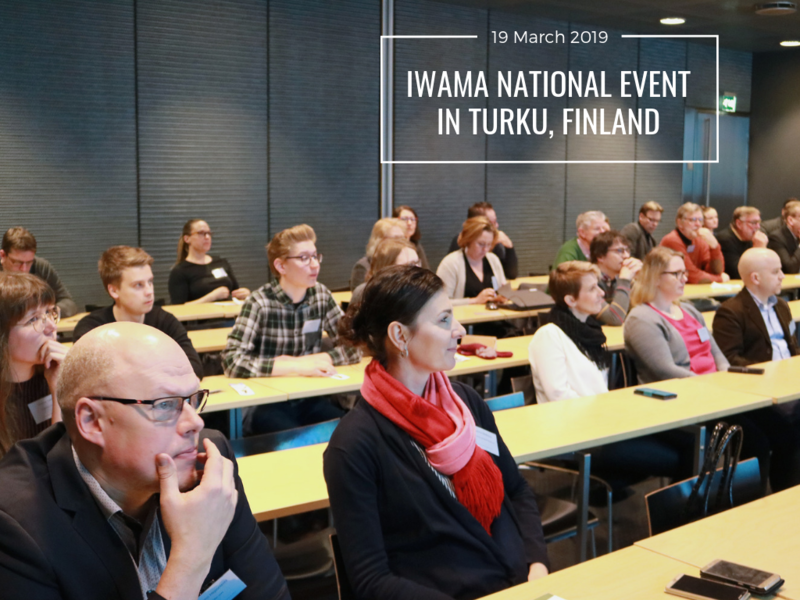 Celebrating World Water Day, IWAMA project held one of five national dissemination events on 19 March 2019 at Åbo Akademi University in Turku, Finland. “Southwest Finland's Water Day” gathered altogether 60 participants representing municipal decision-makers, academia, private companies, water utilities and wastewater treatment plants providing a forum for discussion on the local water expertise in the context of global trends, existing institution competence and education and capacity development needs. As stated by invited speakers, it is evident that the whole water sector is already affected by global changes, such as climate change, population growth and increasing pollution from industrial, municipal and agricultural sources. Therefore, the sector needs to strengthen its resilience and adapt to ensure that it can continue to meet the needs of people, businesses and the environment in the nearest future. Finland has high-level and extensive expertise in the water sector and the best tap water quality in Europe but, despite this strengthening innovation potential, competitiveness and international cooperation remain of top priority. In this light regional water cooperation projects like IWAMA, providing concrete results in terms of investments in technologic solutions and resource efficiency become of great importance. In the seminar IWAMA project´s results got much attention: Baltic Smart Water Hub, smart energy and sludge concepts and capacity development tools. Participants had also opportunity to discuss the project results further at the networking cocktail event after the seminar and receive project publications at the dedicated stand.